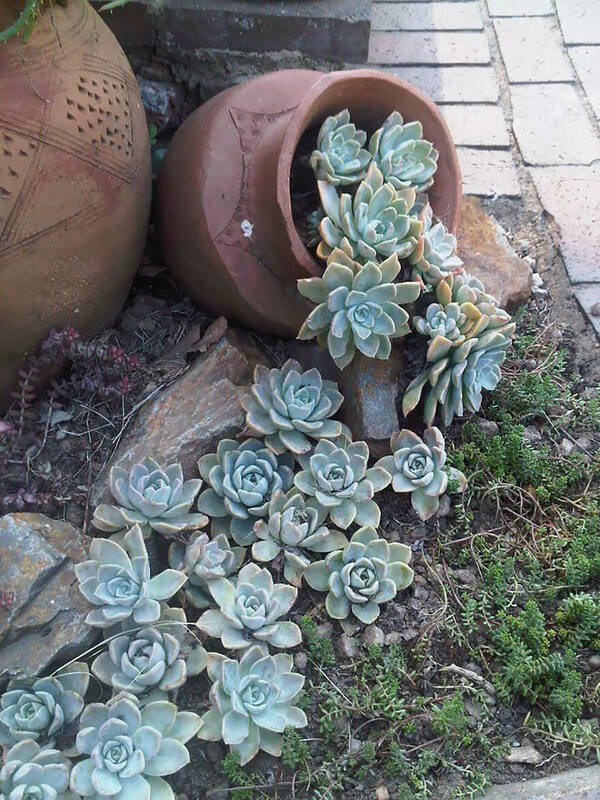 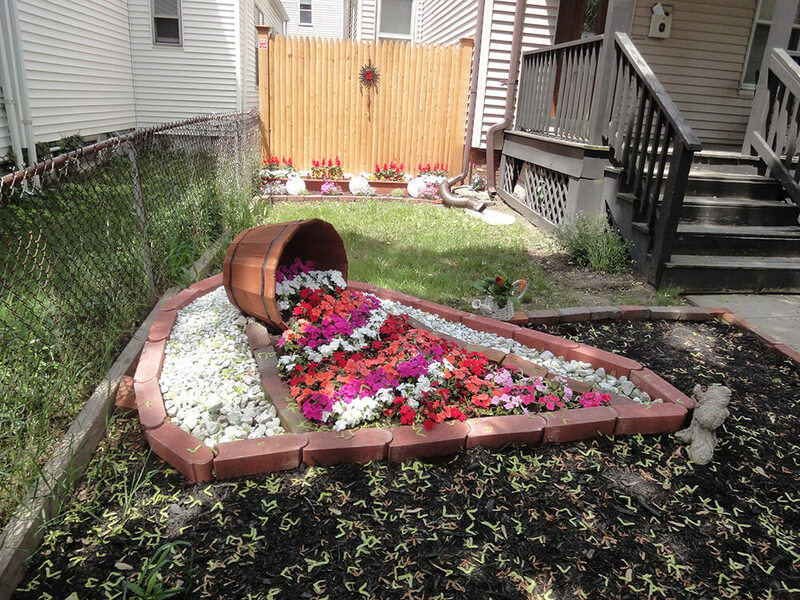 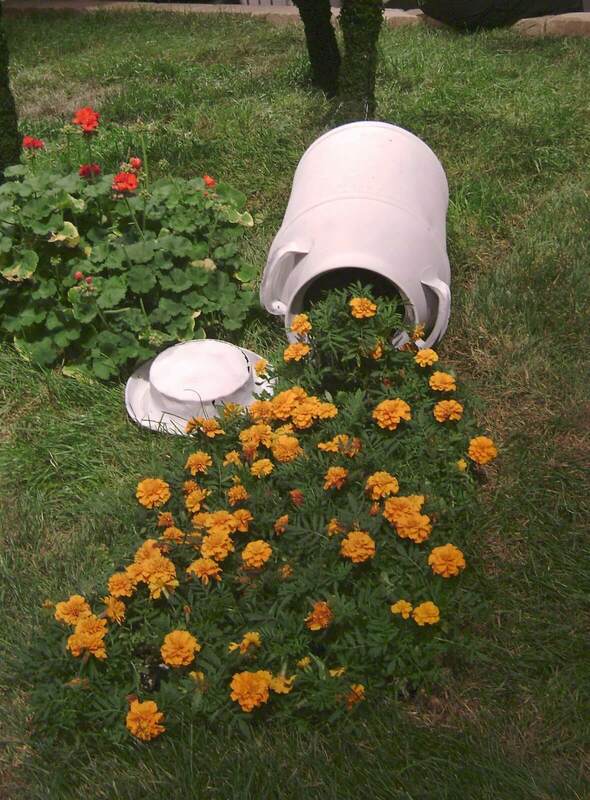 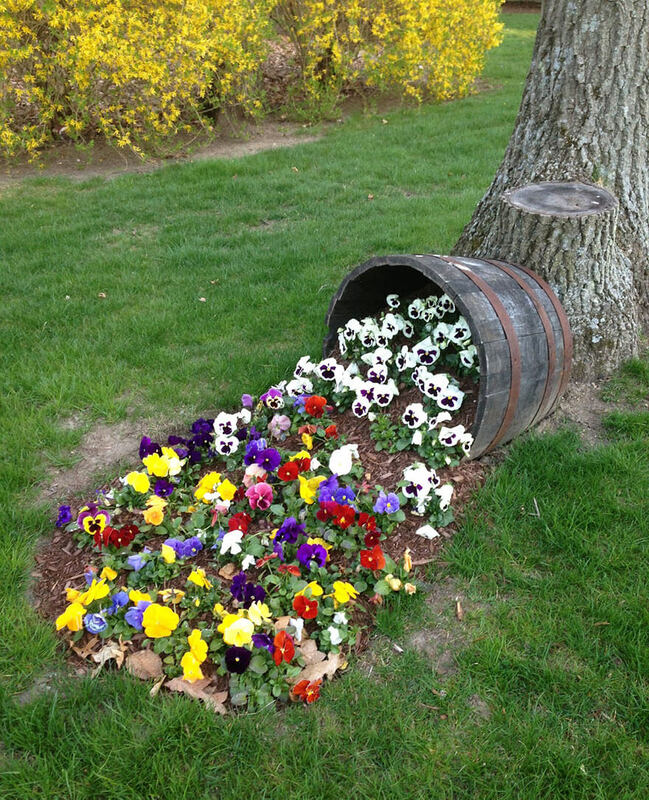 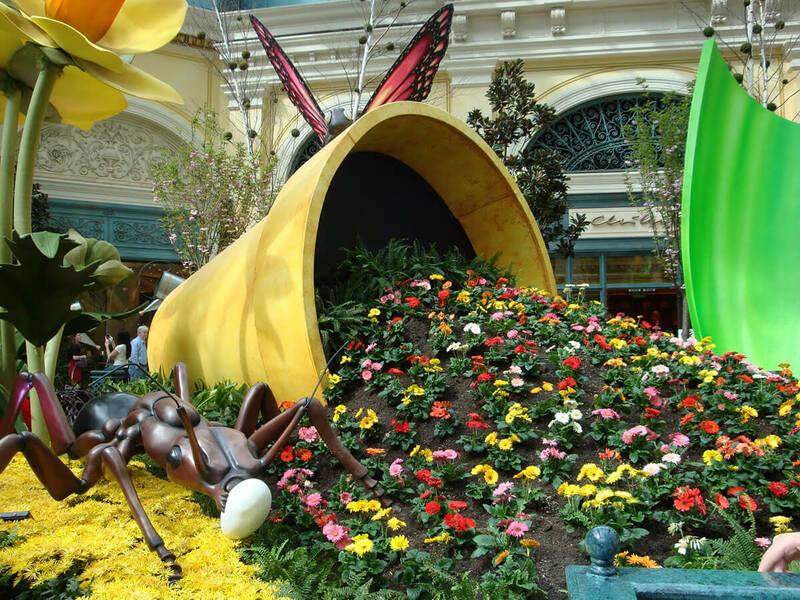 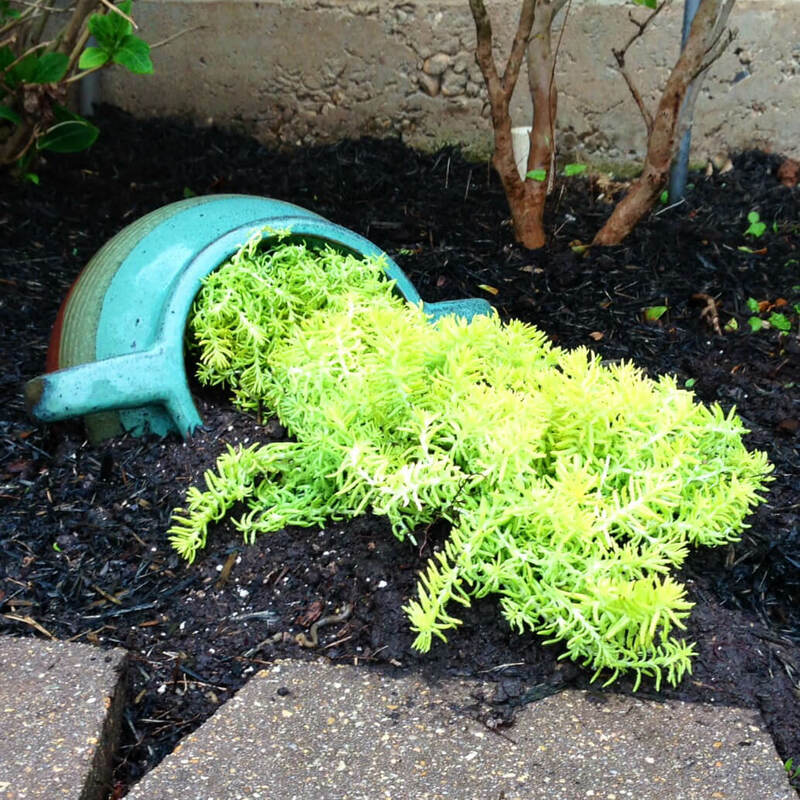 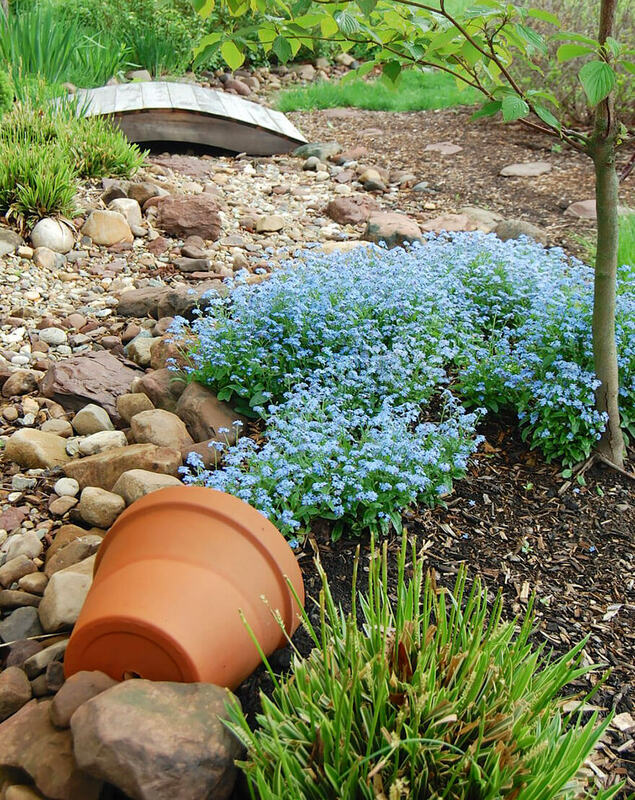 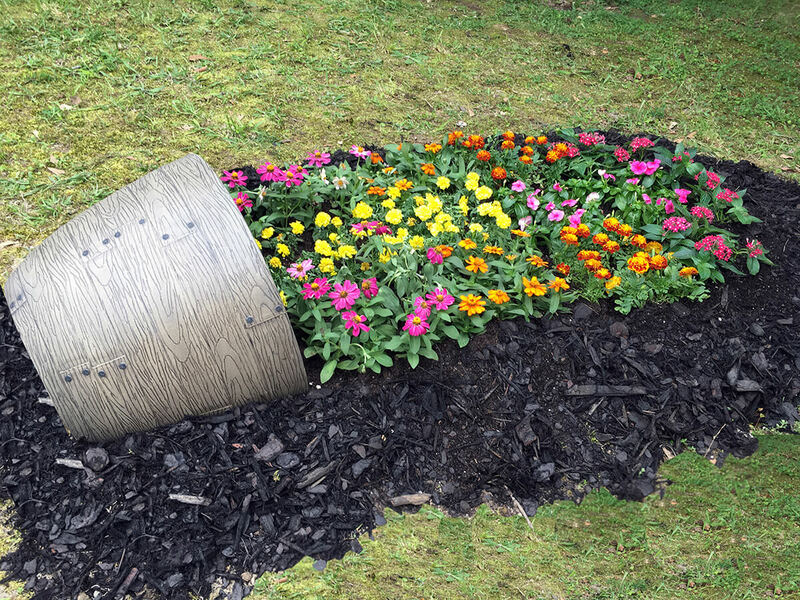 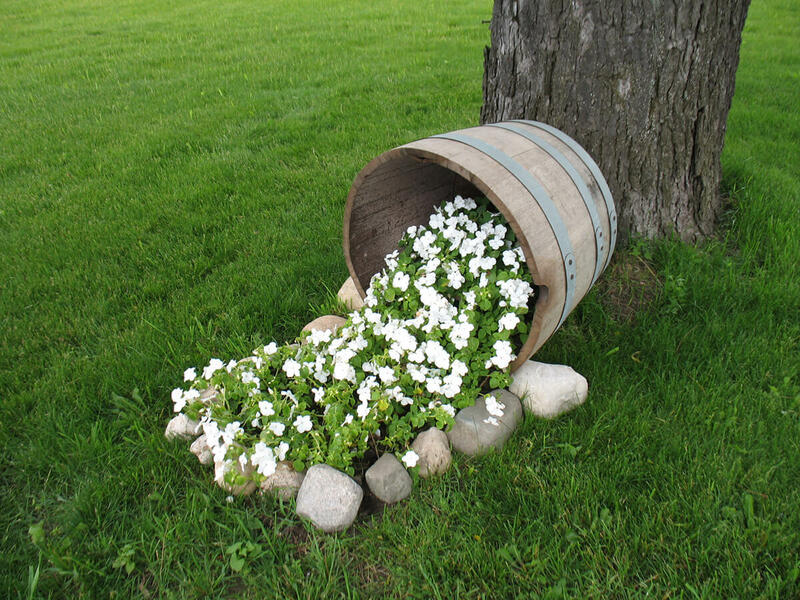 Spilled flower pots are a whimsical and humorous trend in garden design. 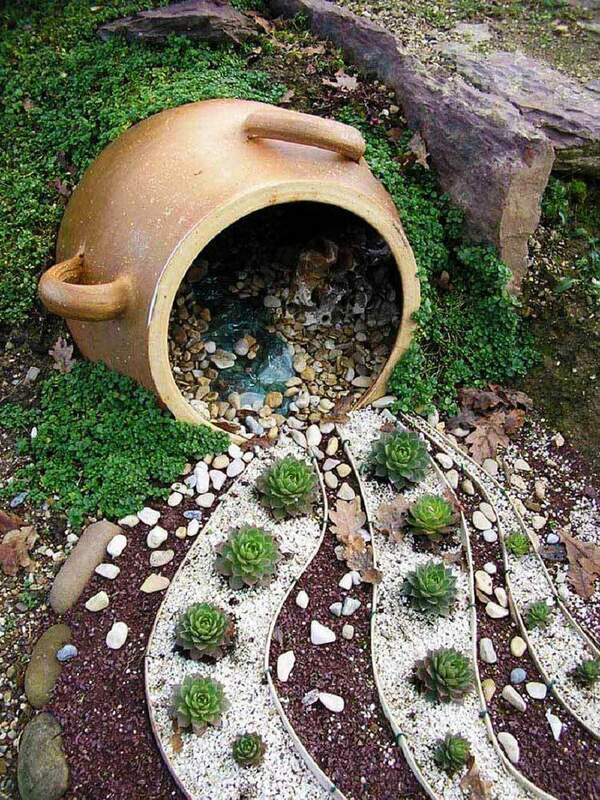 This is an easy concept to use in any backyard garden, and requires only a little thought and creativity. 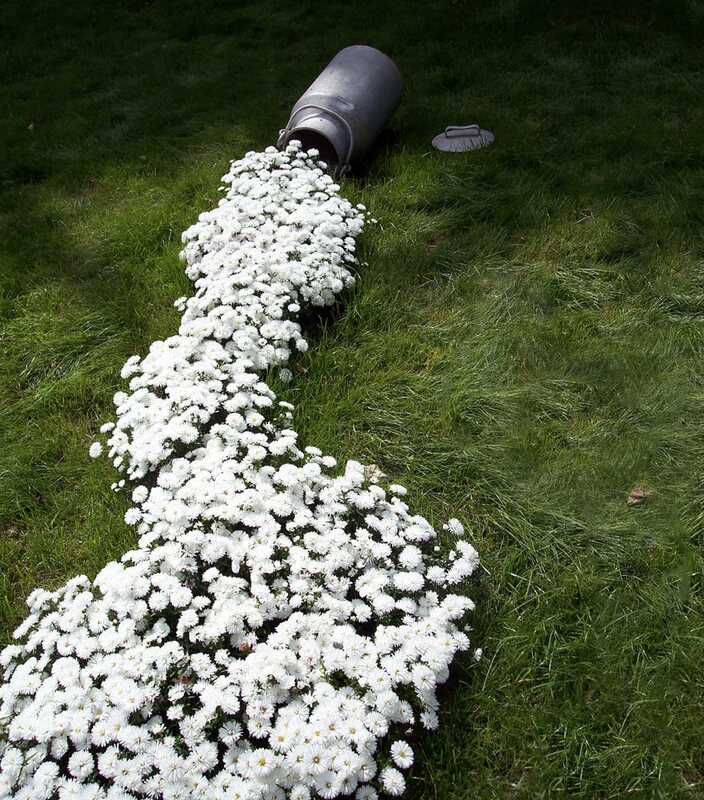 Many of these designs give the impression that the “spill” has just happened. 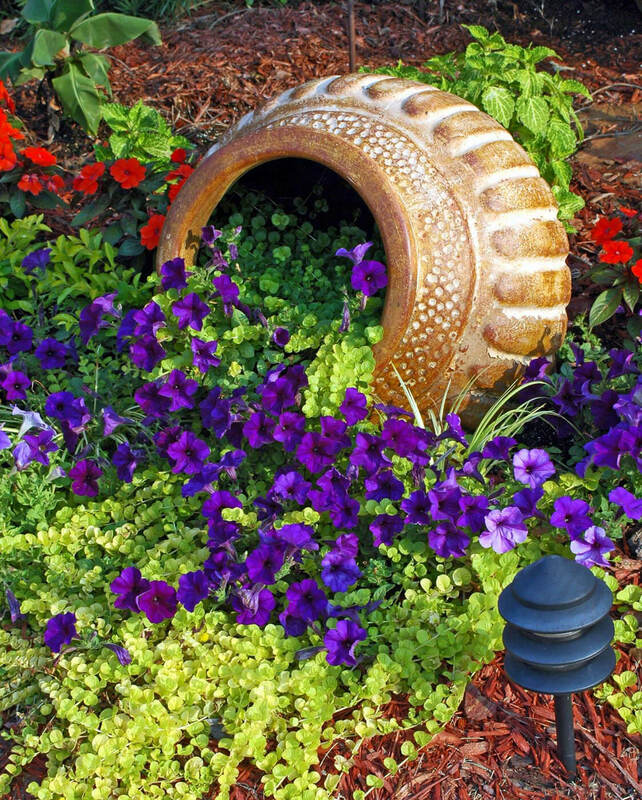 Some of these arrangements have the flowers going straight into the lawn, while others are contained by rocks or pavers. 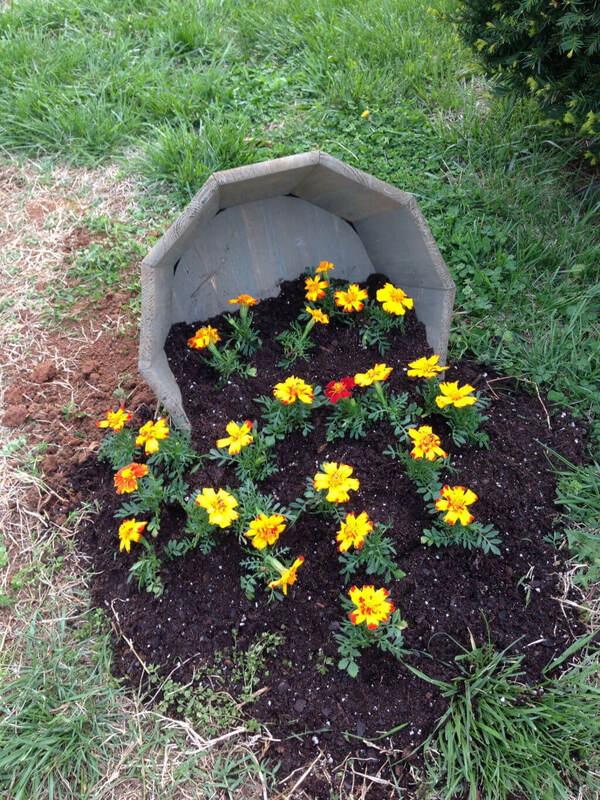 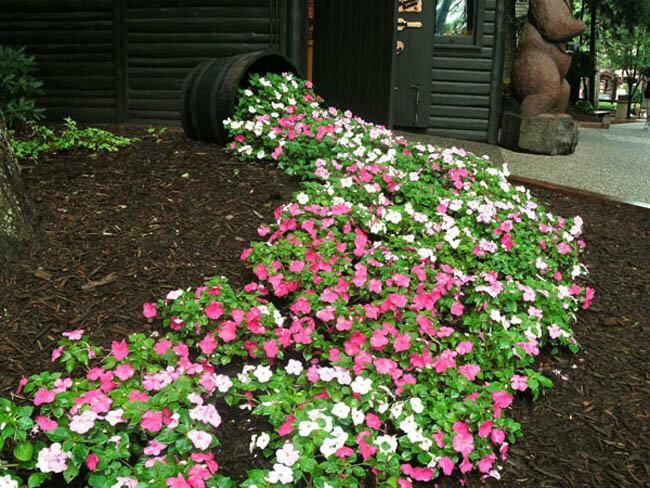 The arrangements where the flowers blend into the lawn or spill onto mulch seem more spontaneous than those that flow into a contained area. 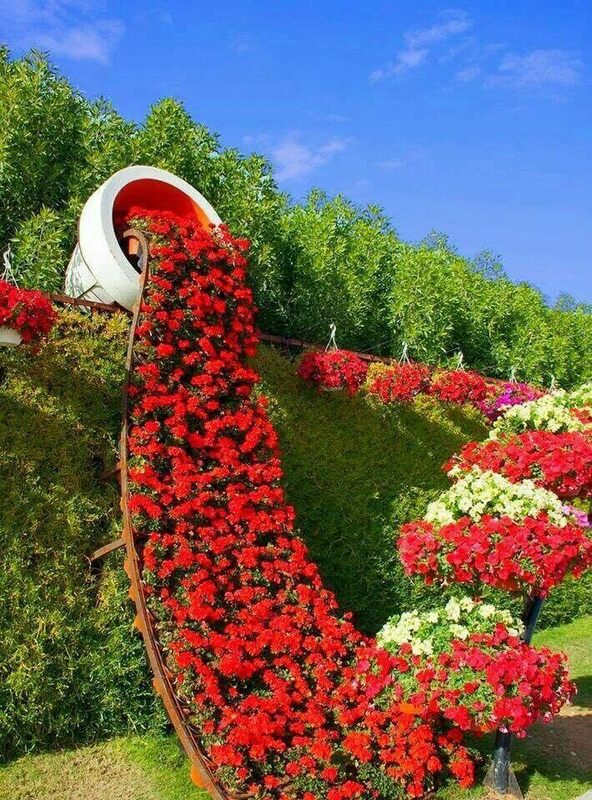 A few of these designs are highly ambitious, with built-in ramps helping the flowers cascade to the ground. 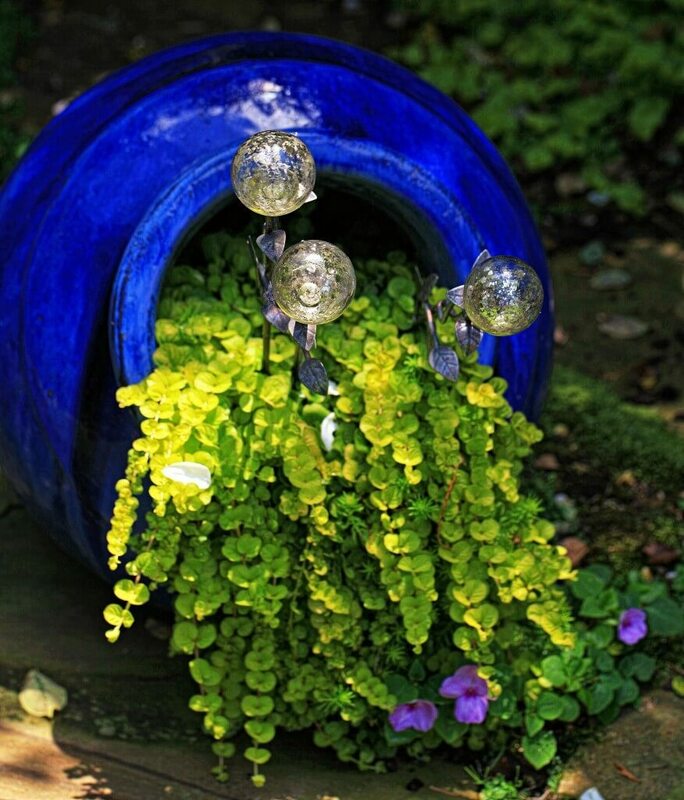 These bring a sense of dynamic motion to the design. 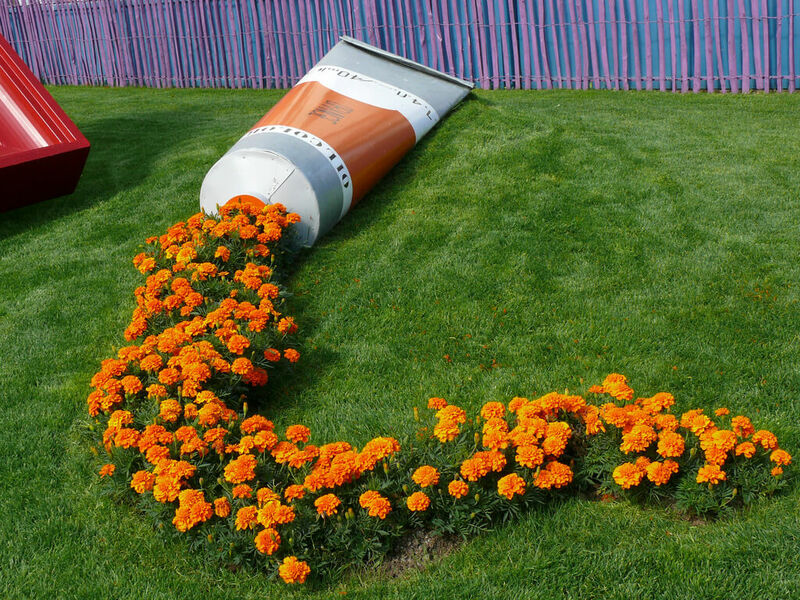 One design in particular brings a smile to anyone’s face: vivid orange blooms flowing out of a paint tube. 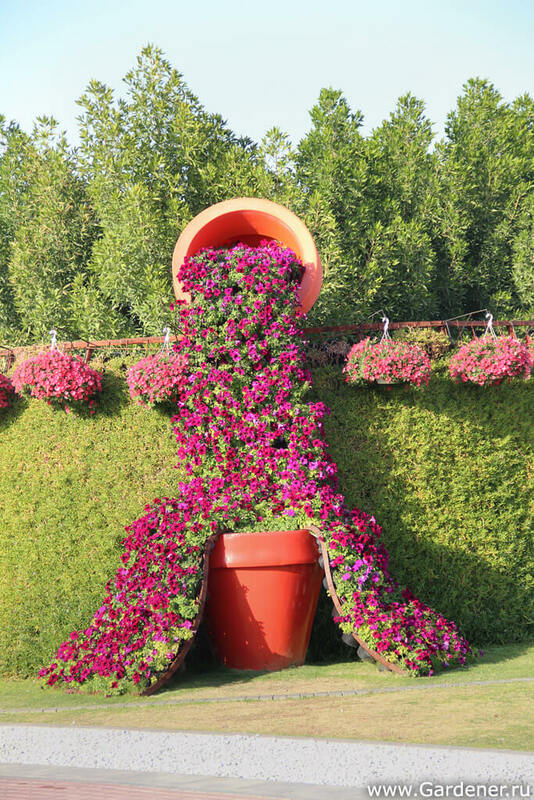 This lets the gardener “paint” their designs into reality. 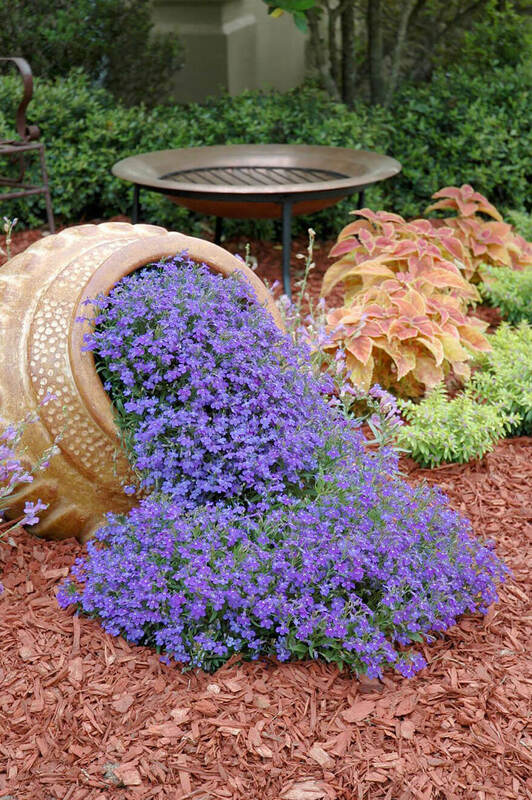 You can use any kind of annual or perennial for this entertaining garden design. 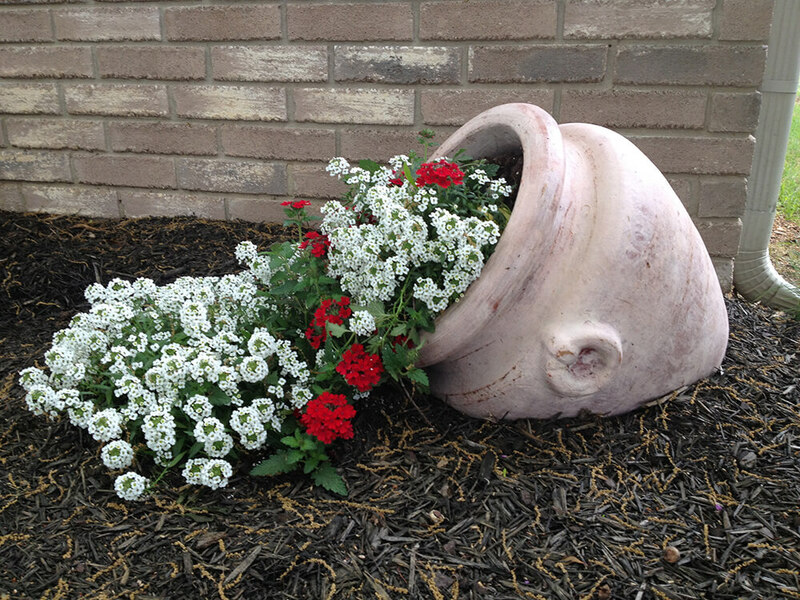 Bring variety to your garden by varying the type of planter. 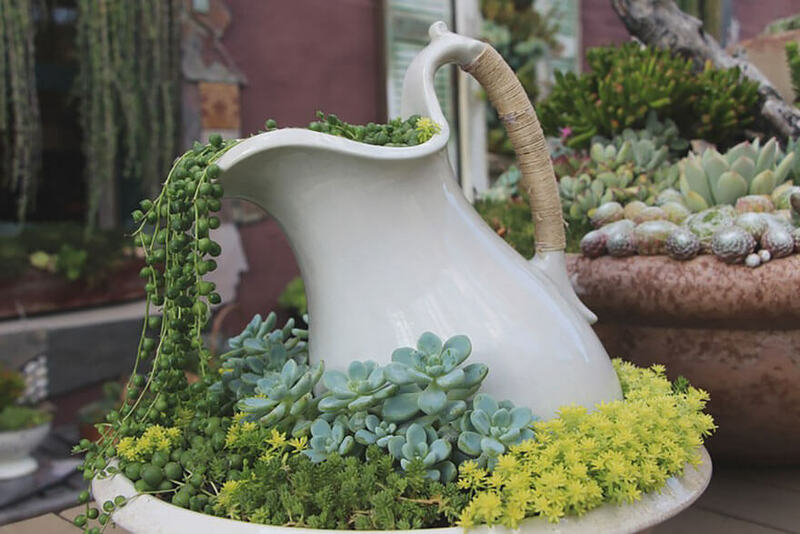 Taking a little time to turn your expectations on their heads will lead you to a fun, charming spilled planter design for your own backyard garden.